The work to develop the conceptual design of the Soyuz-5 medium-class carrier rocket will be completed by the end of the year, the press office of the Energiya Rocket and Space Corporation told TASS on Friday. "The conceptual designing of the Soyuz-5 medium-class carrier rocket will be completed at the end of the current year. After that, the approval and the defense of this conceptual design will take place, which may take some time," the press office said. 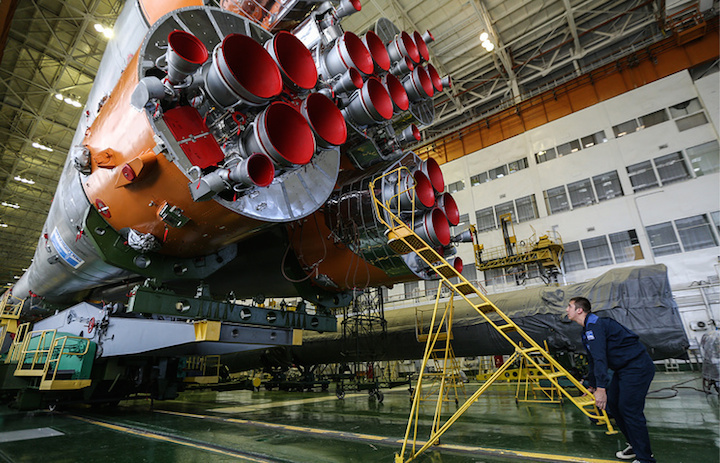 The Soyuz-5 carrier rocket is expected to replace the Zenit launcher. As was reported earlier, the new medium-class rocket will be used instead of the Angara-A5P carrier to launch Federatsiya (Federation) spacecraft. The first launch of a Soyuz-5 rocket is scheduled for 2021. The first manned launch is scheduled for 2022. 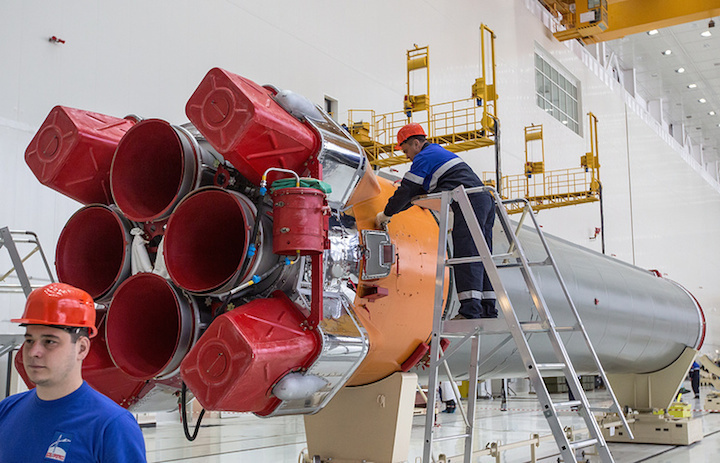 The idea of creating a new mono-block two-stage rocket to take up the niche between the Soyuz and Zenit carrier rockets belongs to Russia’s Progress Rocket and Space Center. The cluster configuration integration scheme envisaged creating a family of rockets ranging from a light carrier (capable of delivering three tonnes of payload into a low orbit from the Vostochny cosmodrome) to a heavy launcher (26 tonnes of payload). Liquefied natural gas was initially intended to be used as the rocket’s propellant. Russia’s Soyuz-5 two-stage carrier rocket will help make sea platform launches from the equator at competitive prices, the press office of the Energiya Rocket and Space Corporation told TASS on Friday. "As for the Sea Launch compound, on which joint work is under way with our partner and investor, the S7 financial group, to resume its operation, the Soyuz-5 carrier rocket may eventually give the compound new possibilities, for example, launches from the equator to a geostationary orbit in the two-stage variant, which will ensure the launch’s competitive cost for the customer," the Energiya press office said.